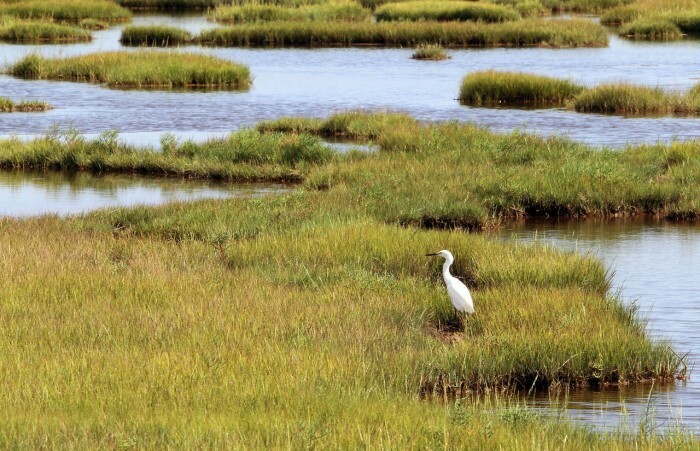 The coast of North Carolina is protected by a string of barrier islands. These islands support distinct and varied ecosystem in the few hundred yards separating the crashing waves of the ocean to the calm tides of the sound. In the few feet that encompass waves breaking onto the shore an entire ecosystem exists. This is where beach are made! In the surf zone wave power shifts the sands. Shells are plentiful as they continue to degrade. Once living creatures, these skeletons erode with each wave that drags them across the bottom – contributing to the volume of sand on the beach. 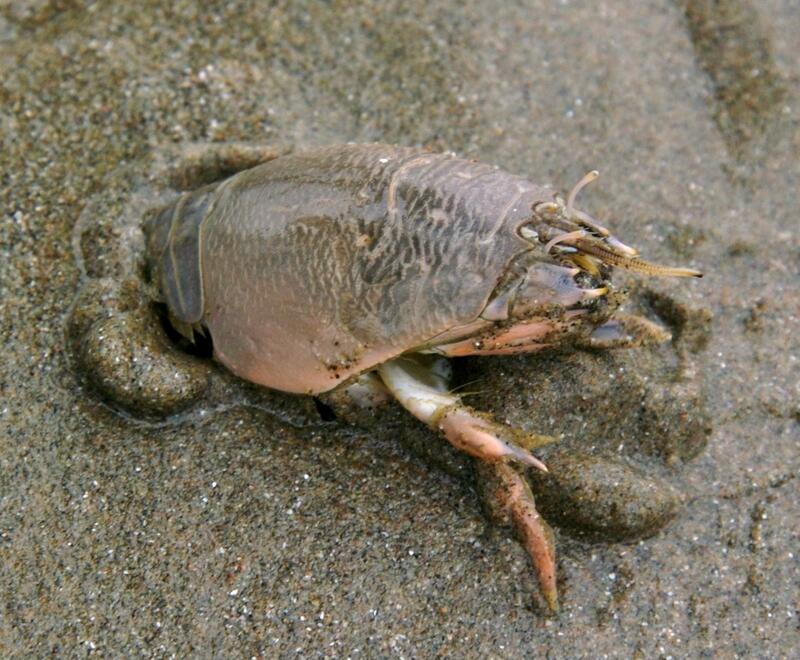 Mole crabs call this area home and these tiny filter-feeding crustaceans are key to the coastal food chain. Many migratory marine birds and fish depend on these tiny burrowing animals as a main source of food. 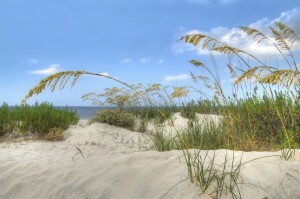 Sand dunes act as the anchors and builders on the ocean side of a barrier island. The vegetation helps secure the loose sand blown along shore by winds gust. Dunes can take years to build, but the wave energy of one storm can wipe them out. A prime example of how these islands are in a constant state of destruction and reconstruction. Just past the dune and a little more inland you will often find a marine forest. A twist of salt sprayed branched distinguishes this area from the surrounding island. 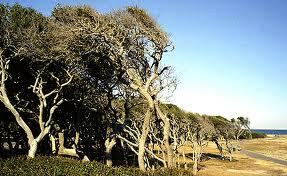 The constant assault of offshore winds and briny air bend and stunts the trees on the ocean side. This is the area containing the most abundant terrestrial plant and animal life, because the tree cover offers more protection from the elements. The island dips back into the ocean on the sound side. Tall marsh grass and calm currents define the nursery habitat found on the backside of a barrier island. Mud and silt from depositing river deltas becomes trapped by plant roots providing a nutrient rich habitat for juvenile marine species that depend on these protected water for development.